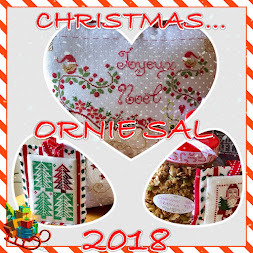 Welcome to my stop on Jo's Hallowe'en Blog Hop! 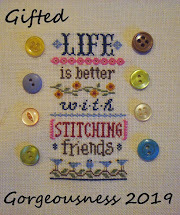 This blog hop is being hosted by Jo of Serendipitous Stitching. 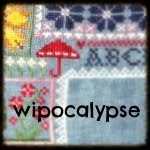 Please visit the start of the Hallowe'en Blog Hop if you would like to collect the letters for the mystery phrase. As part of the blog hop, I am featuring some Autumn and Halloween stitching that I have completed. This year I have decided to showcase a Parliament of Owls. 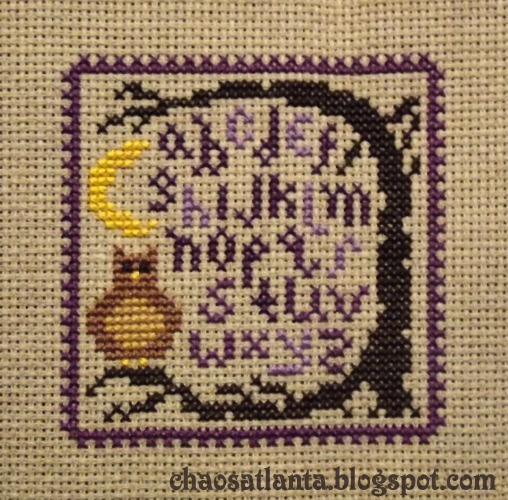 I recently finished an adorable little project: "Mini Banner Fall" by Debbie Mumm. 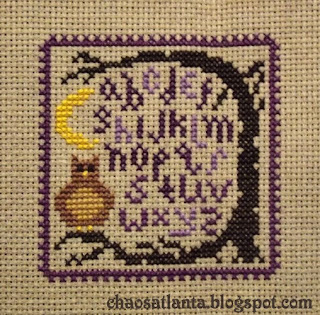 This was a fun stitch, and I love the cute little hangar that came with the kit! In case you are graphically challenged, the secret letter is "T". Those are some gorgeous colours and stitching! 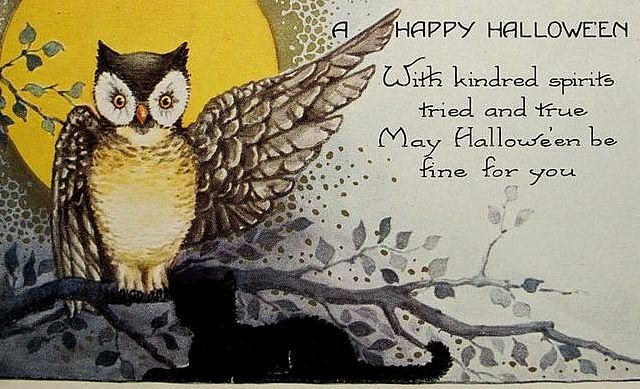 I adore owls so I adored this post. I love the fiesty guy with your letter, he is the best. 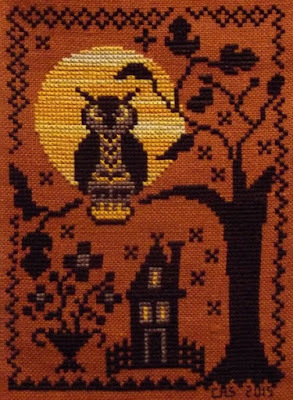 Great display of owls, love the Mini Banner fall with its hanger and the Spell of the Moon. Love your owls. Happy Halloween! And what a wonderful post too. I love all the owls and have stitched a couple of these myself. 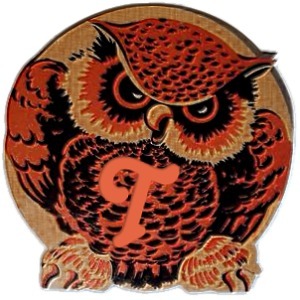 Love all the owls. The BBD looks great on the linen you chose. 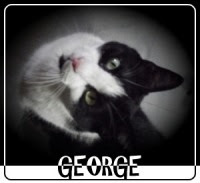 I'm finding I really like banners more and more and your little hanger is great! You have quite the Parliament too. 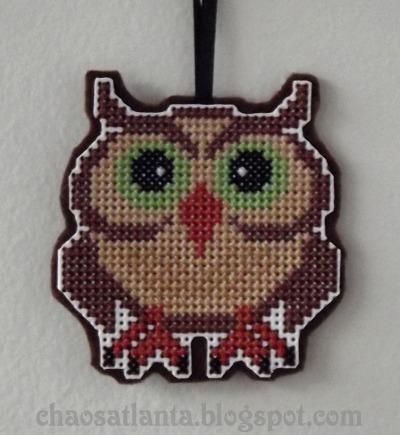 I don't think I've stitched a single owl! Your banner turned out beautifully! Will you do more? I love your other owls too, perfect for the fall. I'm haunting my way through collecting letters. I love your owls. The Debbie Mumm one is my favorite. I agree with you the hanger is adorable. Hope you had a great Halloween. 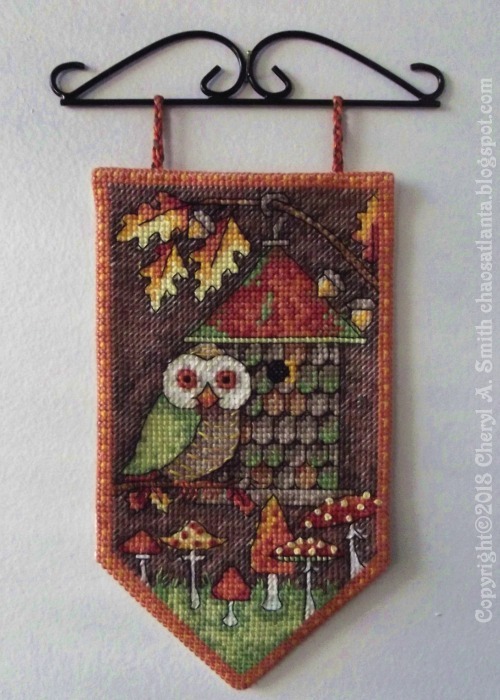 Great stitching pieces and I especially love the mushrooms at the bottom of the Debbie Mumm piece. Mini Banner is so beautiful.Thanks for the letter.AriadnefromGreece! 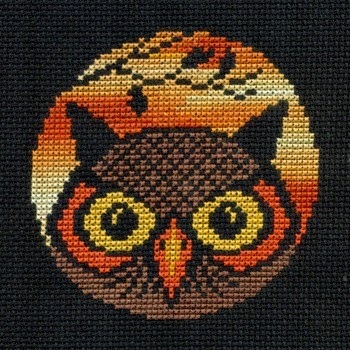 So many great owls - I love them all but think the banner is my favourite. Thank you for the letter!